Blue skies ahead! PestWest USA move to a new head office. 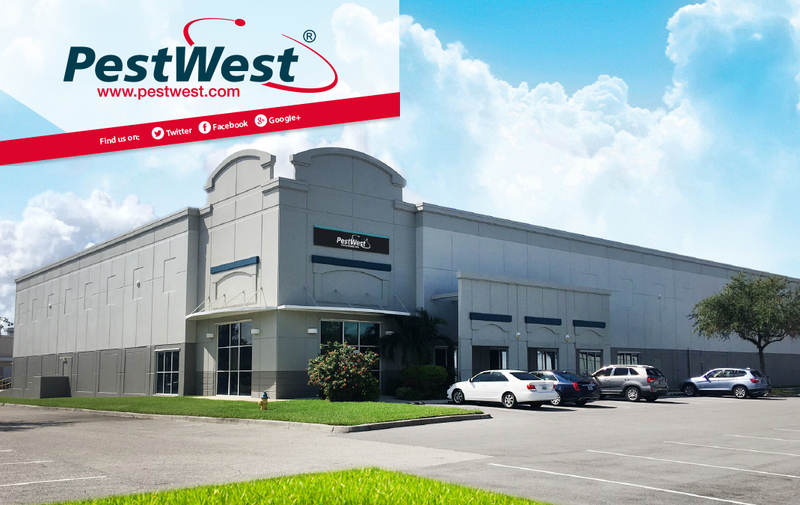 For the past 15 years, PestWest USA has enjoyed excellent growth and development while operating out of its US head office in Sarasota, Florida. As the company continues to expand in the Americas, the need for larger warehouse capacity and office space is required and the decision has been made to move to a substantially larger facility. Historically, the warehouse and administrative operations were separate and combining the two was an easy and obvious decision. “We’re enthusiastic to start this next chapter for PestWest USA at our new North American office. We’ve doubled our office and warehouse capacity and increased efficiencies which will allow us to continue to exceed the needs of our customers as well as expanding our product range. The larger office space gives us a fantastic opportunity to grow our team and further enhance our technical services. None of which would be possible without the continued support of our customers and distributors. It also continues to portray our standard from the ordinary to the extraordinary” Says James H. Shaffer Jr, President of PestWest USA. The new head office is conveniently located in beautiful Sarasota Florida in the Sarasota-Bradenton Commerce Center, just north of the Sarasota International Airport. PestWest USA is a premiere manufacturer of world-class flying insect light traps and EFK’s, Bio-Remediation cleaning products, bed bug detection and fluorescent lamp recycling systems. For additional information call or click! Error: Error validating access token: Session has expired on Sunday, 17-Feb-19 03:23:39 PST. The current time is Thursday, 18-Apr-19 21:34:30 PDT.